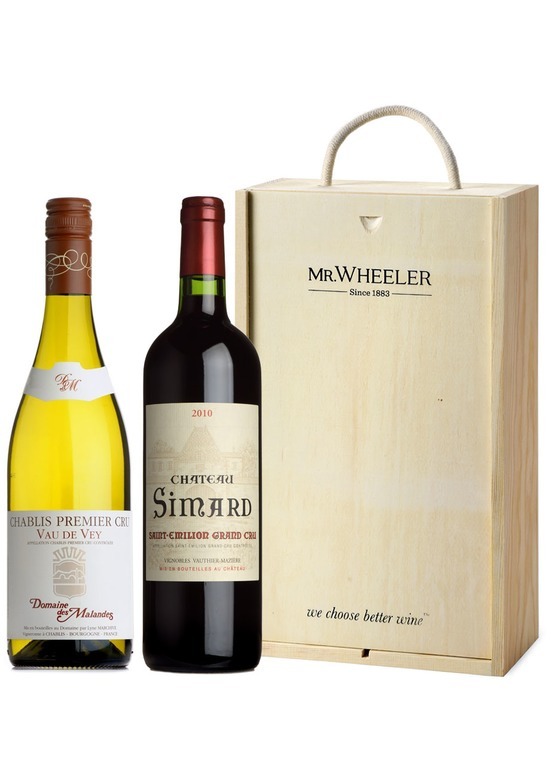 A two bottle selection of French wine, presented in a wood-wool lined Mr.Wheeler wooden gift box. A brilliant, steely and beautifully pure Premier Cru Chablis from the skilled hands of Jean-Francois Bordet. Jean-Francois Bordet produces one of our favourite Premier Cru Chablis. 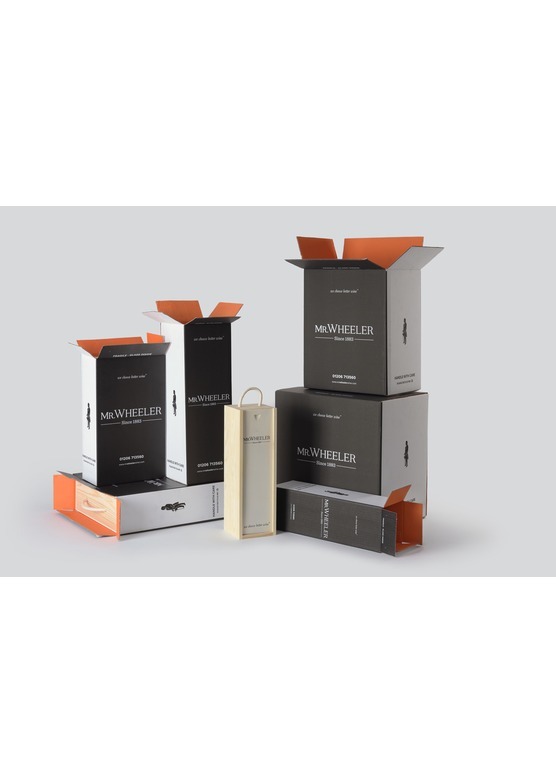 The Vaillons vineyard faces south east and therefore the resulting wines a greater richness than many 1er crus. 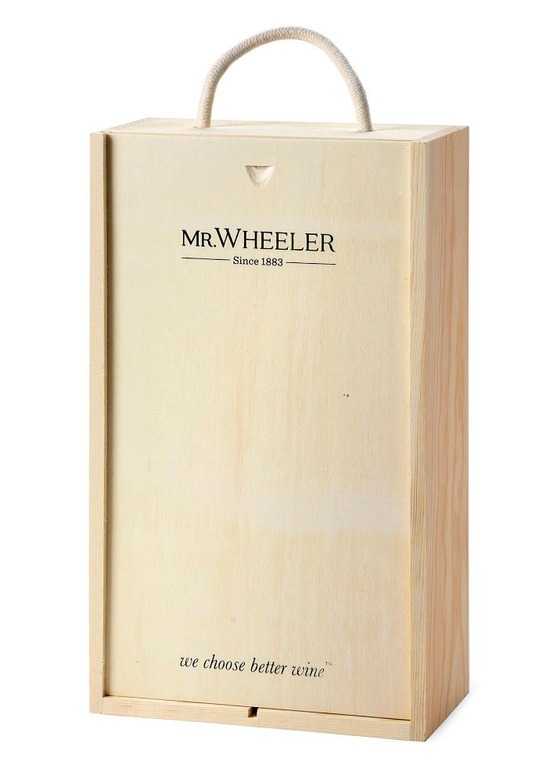 Mineral notes together with an array of subtle citrus and white stone fruit flavours. There is a yeasty note to the palate and a slight creaminess to the texture, yet the finish retains that hallmark Chablis race and verve. A very fine Chablis to enjoy over the next 5 years. Perfect for drinking throughout the coming year to complement fish and seafood or served as an aperitif. [more info].